Home / JOB VACANCY / EMPLOYMENT OPPORTUNITIES AT CATHOLIC RELIEF SERVICE (CRS): CHECKOUT YOURS HERE. 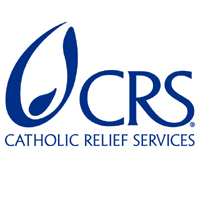 EMPLOYMENT OPPORTUNITIES AT CATHOLIC RELIEF SERVICE (CRS): CHECKOUT YOURS HERE. Catholic Relief Services (CRS) is the official overseas relief and development organization of United States Conference of Catholic Bishops and has served people living in poverty and situations of vulnerability in over 100 countries since 1943. In Tanzania, CRS has served vulnerable communities for over 50 years and is a leader in building the country's capacity to improve health and nutrition services for young children and their caregivers. Please visit CRS' website (crs.org/about/careers) for job descriptions and application instructions by 06 April 2018. Positions are contingent upon donor approval and funding. CRS' talent acquisition procedures reflect our commitment to protecting children and vulnerable adults from abuse and exploitation. CRS is an Equal Opportunity Employer.